Born and raised in the Bronx, Jérôme LaMaar has a profound love for art and design, culture, spirituality and glamour. 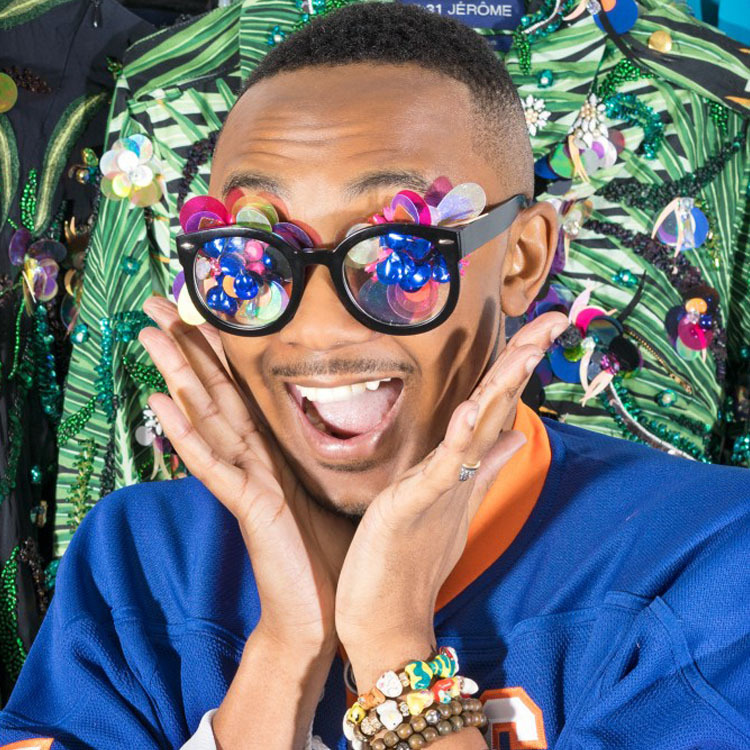 He began his fashion career at age 15 interning for Baby Phat and at age 18 he was appointed as the brand’s Senior Designer/Creative Brand Coordinator. By age 20 he was commissioned to design all of the costumes for Mariah Carey’s 2006 Adventures of Mimi world tour. Jérôme’s career boasts many more accomplishments including consulting at Complex Magazine; apprenticing for Chado Ralph Rucci; and working for Phat Fashions, Promostyl Paris, and Armani. In 2014 he launched the 5:31 JEROME collection. The line has received accolades from the New York Times, Elle Magazine, Vogue, Teen Vogue, WWD, Style.com, and Refinery29. Celebrity supporters include Beyonce, Tina Knowles-Lawson, Swizz Beats, Ingrid, Rihanna, Kim Kardashian, Serena Williams, Taraji P. Henson, and many others. In 2016, staying true to his roots and love for the Bronx, he opened 9J, his design studio and retail concept, in the South Bronx.